An advancement for White Rose on Monday 8th April at Baildon Masonic Hall. A good attendance of twenty eight, of which twenty one were visitors answering the plea to support this Lodge which is fighting for it’s survival, of which I have no doubt that it is now well on the way to achieve. 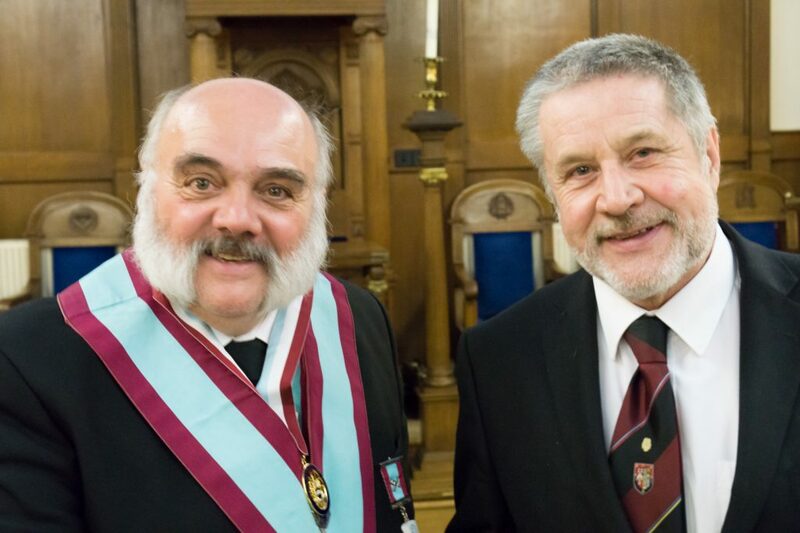 Included in the assembled company were the Provincial Grand Master, Right Worshipful Brother James Steggles, G.M.R.A.C., the Assistant Grand Master, Worshipful Brother Trevor Bolton and Past Assistant Grand Master, Worshipful Brother John Clough. The Worshipful Master, Worshipful Brother Robert Greening-Jackson opened the Lodge in due form and attention turned to a ballot for a joining member, W.Bro.Trevor who had decided to do more than just attend but give support by becoming a member, no surprise W.Bro.Trevor is one of the most caring and considerate people I have ever met, then again he is a mate with a sick doggy, come on Angus. 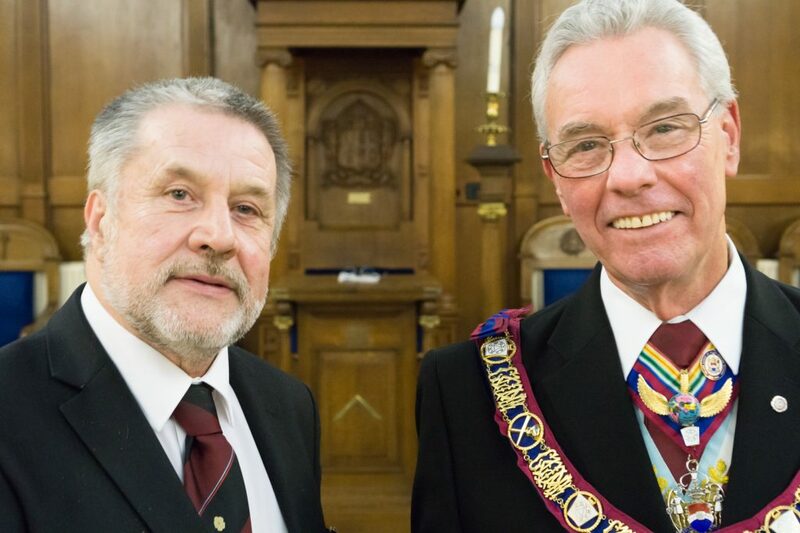 Fortunately the ballot proved favourable and he was admitted to the relief of W.Bro.Robert. 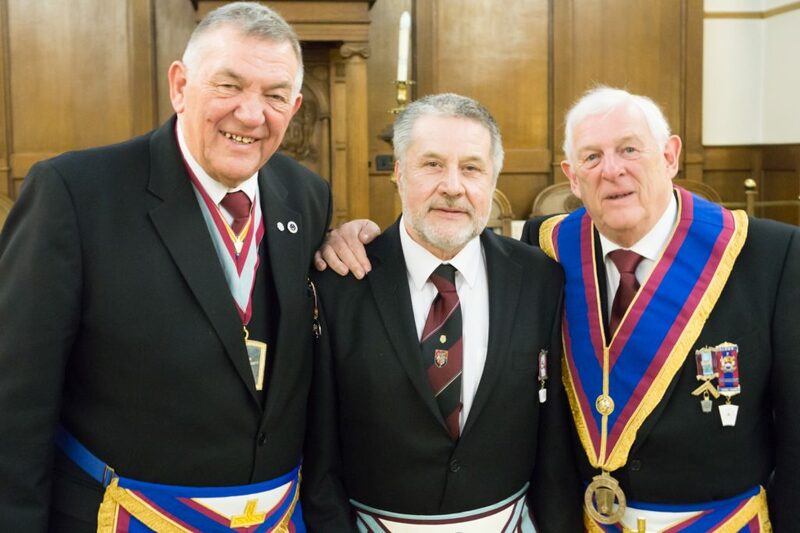 The most important business then commenced with the advancement of Brother Geoff Hodges of Corinthian Craft Lodge No.3600 who was admitted under the direction of the Senior Deacon, W.Bro.Sam Cariss and the Junior Deacon Bro.Andrew Hargreaves. All proceeded serenely to the Obligation, well handled by W.Bro.Robert in a confident and measured fashion. The Overseers followed, congratulations to all three , two being visitors called in at short notice and the Master Overseer, W.Bro.Alan Griffin who was superb, it is well to note that he is also Treasurer and Almoner, it is on rocks like W.Bro.Alan that Mark Masonry flourishes. The Signs and Secrets were then presented by R.W.Bro.Jim, the practice has certainly paid off, it was a supreme delivery, he could go far! The Senior Warden, W.Bro.Richard Bleasedale dealt with the Apron and Jewel which were then explained by W.Bro.David Steel; Constitutions, Bye laws and Warrant in the hands of V.W.Bro.John Clough who added the conclusion in impeccable style. This was an excellent Ceremony, from R.W.Bro.Jim to the end, virtually word perfect The remaining agenda covered, the Lodge was closed and the Festive Board welcomed all to Soup, salmon fish pie and pudding, cheese and biscuits, all well received. The Toast to the P.G.M. was submitted by W.Bro. Robert in formal manner but he went onto give that to the Province thanking the Provincial Officers for all their efforts, particularly those members of White Rose who, through some very difficult times, had kept the Lodge afloat and the light is now in sight. The P.G.M. responded, congratulating Bro.Geoff upon his advancement and gave him a copy of the year book. He emphasised that this had been a most pleasurable evening and that he had enjoyed playing his part. 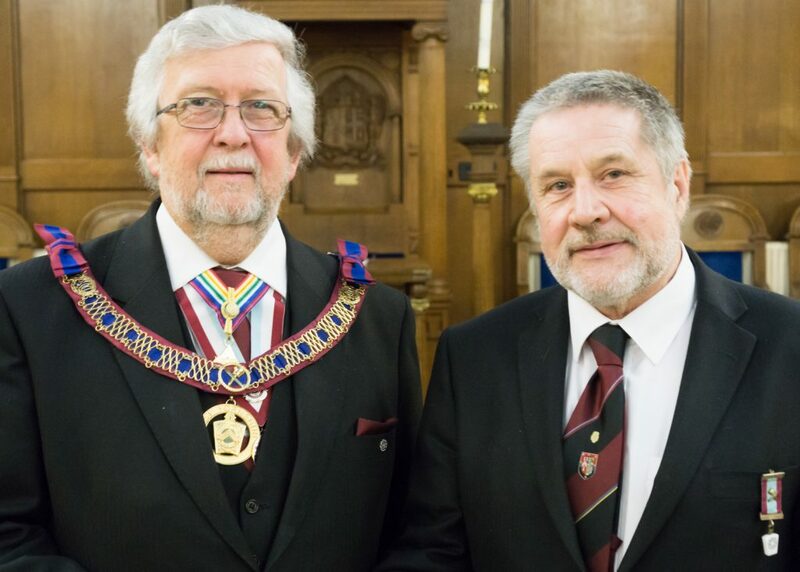 In The Toast to the candidate, his Proposer, W.Bro.Richard mentioned that Bro.Geoff had been a Freemason for some twenty years and when asked, ‘had he ever considered the Mark Degree’, replied ‘nobody has asked me’, well that is now in the past, welcome to The Magic of the Mark, Geoff. I am delighted to report that two Masters in the Chair were present, W.Bro.John Harrison of Bronte No.535 and W.Bro.Ian Cotton of Wharfedale No.1027, well done for recognising the responsibilities of your Office and representing your Lodge. I do hope that this catches on?